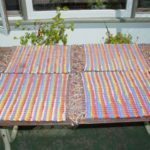 Nancy Wheeler has been weaving since 1995, She weaves items such as scarves, rugs, afghans, place mats, blankets, towels, table runners, and wall hangings. 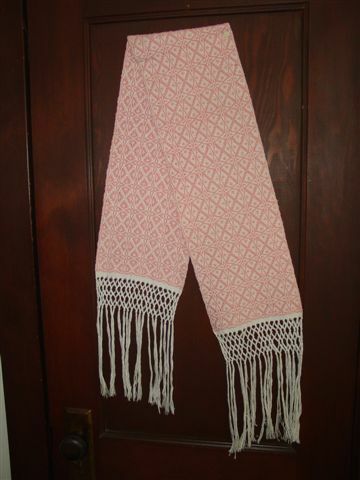 Not a “professional” weaver, she weaves mostly for fun for family and friends. 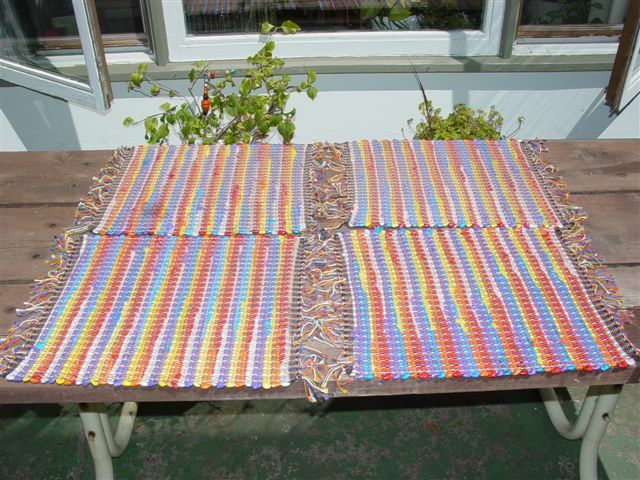 Nancy has a 8 and 4-harness floor looms and table looms, and other various and sundry inkle and potholder and Weave-it looms. 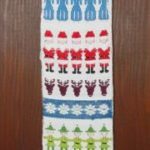 Nancy is very active in the Flambeau Area Fiber Artists (FAFA) Fiber Guild. FAFA meets periodically to share current projects and provide inspiration and support to fellow fiber artists. 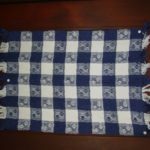 Members of FAFA are happy to demonstrate their crafts of weaving, spinning, knitting, felting, lace making, basket making, and the like, to help spread the word that these crafts are alive and well in the 21st Century. 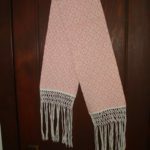 Contact Nancy at home at 715-532-6298 for information about weaving, looms, or the meetings and activities of the Flambeau Area Fiber Artists. 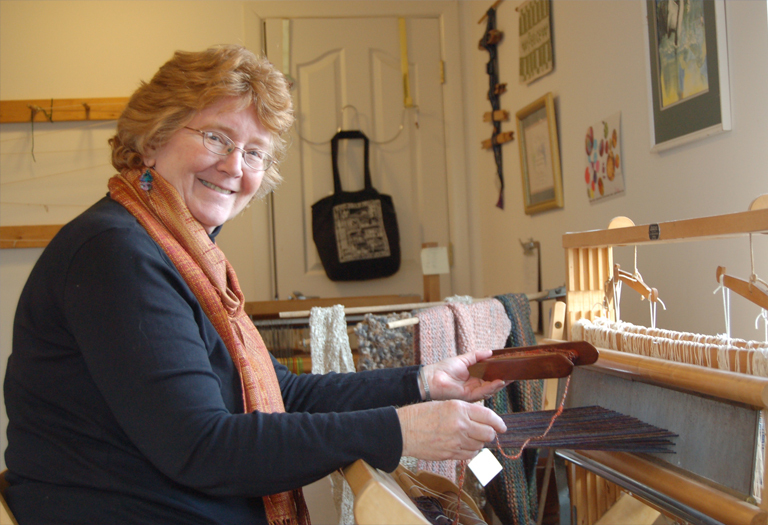 Nancy can often be found Saturday mornings weaving at the weaving studio at Toad House. 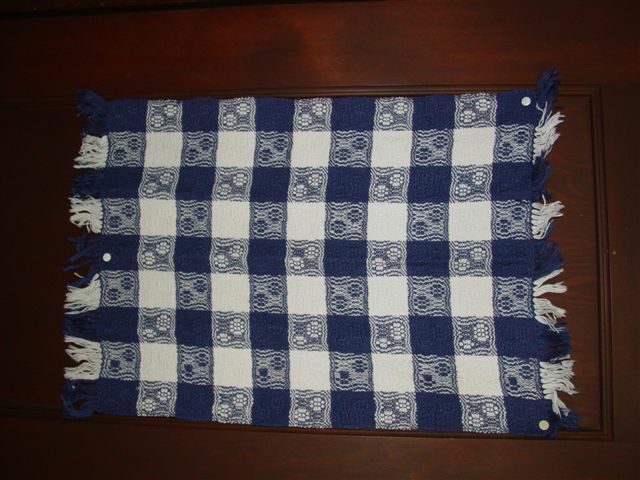 Drop in and see the weavers at work. You may purchase Nancy’s work at the RAAA Gift Gallery at Toad House in Ladysmith.